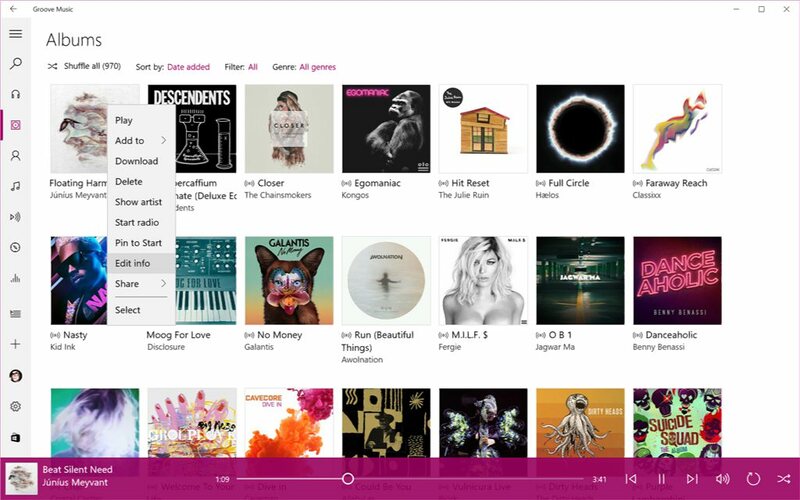 The latest Microsoft Groove Music app update version 3.6.2386.0/3.6.2397.0 will allow you to listen to your favorite tracks on top of games without snapping the app. Groove team also released an update 3.6.2397.0 to this payload to fix the issue that caused Groove Music to randomly play music and the issue that prevented the app from producing audio in some cases. The new update will be available for insiders in the next few hours. You can now see curated playlists, new releases, best new songs, top albums, and top artists all by GENRE. Available in US, UK, FR, CA, and DE. Radio stations show up in Recent Plays in Your Groove. You can check out which artists are included in a playlist in Explore more easily now because they are highlighted when you click on a playlist. You can give feedback on playlists in Your Groove with a thumbs up or thumbs down. You can also mute specific songs in a Your Groove playlist if you don’t want to hear it anymore. Muted songs will be excluded when you play that playlist later or save a copy to your collection. Introduced landmarks in Groove to reduce tabs when using Narrator. You can now edit the metadata for music saved locally! Right-click on an album or song and choose.